3. Define Cyberbully and identify was to stop it from happening. 5. Students will play Evolve on Digital Passport. 3. Review types of games chosen and how to present information. 4. Students will open a website review, edit the page and submit work in the google drive. 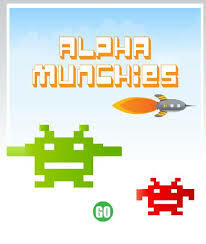 3. Review how to know if a game is just right for you and think critically about how it can be used in the classroom. 4. Students will open a game and play it with a critical eye. Students will answer if the website is good for classroom use or personal use. 3. Watch Reading News Online as a class. 4. Show students how to research myths and note sources. 5. Students will access "Myth Busters" in their Google Classroom and research whether the "myths" are real or not and to cite the source used. 3. Watch Private and Personal Information as a class. 4. Review what is safe to post. 5.. Students will log in to Digital Passport using their student ID. 6. Students will play Share Jumper. 3. Read "I Like Myself" and brainstorm what makes each of us special. 4. Students will open a word document in Google Classroom and insert a picture of themselves. 5. Students will create between 6 and 10 statements about themselves, explaining why they are special. As a challenge, students will be asked to make their statements rhyme. 2. Review expectations, procedures and purpose of the day. 3. Show students how to log in to the Google Classroom and access the assignment. 1. Students will log in to Google Classroom. 2. Students will format fonts and photos to create a wanted poster. 3. Show students how o log in to Storybird and create a haiku. 4. Show students how to submit their haiku to the google classroom. 1. Students will log in to storybird and create a haiku. 2. Students will submit their work to the google classroom. 3. Review how to log in to Google Classroom and create a drawing. 4. Show students two options to celebrate 100 days of school. 1. Students will log in to their google classroom and create a google drawing. 2. Students will follow directions to complete one of two options for 100 days of school. 3. Once work has been submitted, students can play links from the Condit Lab. 2. Review expectations, procedures and purpose for the day. 1. Students will open the google classroom to access the frayer model. 2. Students will open a new google drawing. 3. Students will type and format facts about their animal. 4. Students will submit their work when they are done. 5. If time permits, students may work on a link in Condit Lab or a station. 3. Students will import and format a map, a picture of their animal and a picture of themself. 4. Students will type and format facts about their animal. 5. Students will submit their work when they are done. ​6. If time permits, students may work on a link in Condit Lab or a station. 2. Students will research an animal of their choice using National Geographic Kids. 3. Students will record the name of the animal, 2 body parts and their adaptations and 3 facts about the animal in the frayer model. 4. Students will import a picture of the animal in to the frayer model. 2. Review expectations, procedures and expectations for the day. 3. Remind students how to log in to Google CS First. 1. Students will log in to Google CS First and access the lesson on creating their own Google Logo. 2. Students will work on creating a Google Logo. When done, students will Share their work. 2. Review expectation, procedures and expectations for the day. 3. Show students how to import a PhotoBooth picture to Kidpix. 1. Students will use Photobooth to take a picture. 2. Students will import the graphic to Kidpix and create themselves as a snowman. 3. Students will print their work. 4. If time remains, students may work in Santa's Village. 3. Show students how to log in to Google's CS First. 1. Students will log in to Google's CS First and begin their own coding adventure. 2. When completed, students will share their work and complete a short survey. 3. Show students how to log in to Code.Org Classes and how to progress through lessons. 1. 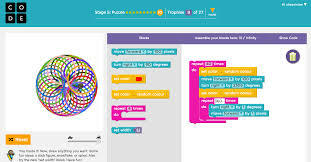 Students will log in to Code.org and follow the self-guided lessons. 2. If students complete all levels in Course 1, they may work on Kodable, Lightbot, Tynker or stations. 4. Brainstorm what we are thankful for and make an anchor chart. 5. Show students how to use Tagul. 1. Students will type least 20 items that they are thankful for. ​3. When students are done, they may play Dress Tom Turkey,Turkey Swap, National Geographic Thanksgiving Funny Fill-In and ABCya. 3. Remind students how to log in to Google Drive and access a Google Doc. 4. Students will write 15 statements about themselves. 5. Students will import a picture of themselves using the insert image tool. 6. Students will print their work, which will be used in art later this week. 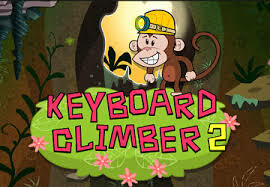 7.When completed, students may log on to Interland and play internet safety games, play a variety of typing games or work in the new maker space. Student will learn how to log in to Learning.com and complete a lesson. 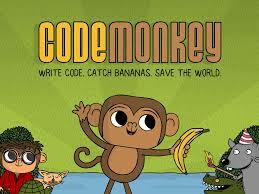 Students will work on coding lessons 1-10. 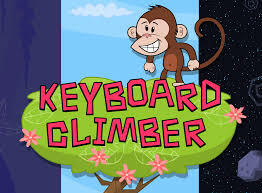 5.When completed, students may log on to Interland and play internet safety games, play a variety of typing games or work in the new maker space. 1.Welcome back to the lab. 2. Review expectations and procedures. 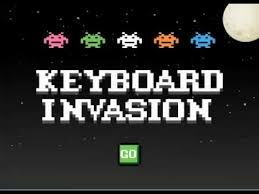 4.Students will log in to Learning.com and complete the assignment on the Upper and Keys Row. 4.Students will log in to Learning.com and complete the assignment on the Lower Row. 3. Show students how to log in to learning.com and complete two lessons; home row, shift and key. 4.Students will log in to Learning.com and complete the two assignments. 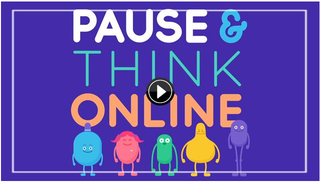 Student will watch Pause and Think Online as a class. Once done, students will learn how to log in to learning.com and complete computer assessments . Students will log in to Learning.com and complete three short assessments. 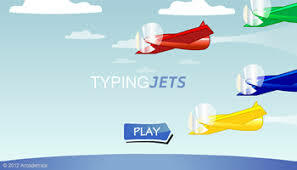 When completed, students will log on to Interland and play internet safety games. Student will Cyberbully with Professor Garfield and review online safety rules. ​When finished students may play online safety games with NSTeens. 3. Students will find their assigned seats and log in to the computer. 4. Students will log in to Google Classroom and finish their first assignments. 5. When students are done, they are to log in to their code.org account. 3. Reflect on the year; What activities did we do? What do you wish you could spend more time doing? 3. Students will take a quick survey in Google Classroom. 4. Students will review all activities completed this year and choose one to complete again. 1. Welcome to the lab. 3. Review the assignment for the day. 4. Students will access their Google Classrooms and complete the iReflect activity, ensuring that they have one image and one textbook per item. 5. When complete, and the work is submitted, then students may complete a Condit Lab activity. Due to STAAR testing, many classes will have an altered enrichment schedule. For classes that will be in the computer lab at normal times, students will work on an assignment in google classroom that focuses on reflecting over the school year. 2. Review how to log in to google classroom. 3. Students will log in to google classroom and complete surveys their classmates created. 4. When done, students may work in the Condit Lab. 3. Students will be rehearsing for the grade level musical or completing their EOY assessment in Renaissance 360. 3. Review how to access Google Classroom for assignments. 5. Students will open a google form and create a survey. 4. Review how to use Google Earth and take a screen shot. 5. Students will open their Google Classroom and complete a 15 question technology assessment before opening up their Google Scavenger Hunt. 6. Students will look at various locations in Google Earth, take a snapshot of the location and place it in the Google Slides. 7. When finished, students will turn in their work and finish any unfinished Google classroom assignments before working in the Condit Lab. 4. Learn how to use Google Earth and take a screen shot. 5. Students will open their Google Classroom and access the Scavenger Hunt. 7. When finished, students will turn in their work and access links on the Condit Lab. 3. Review how to log in to Google Classroom and access their account. 4. Remind students how to change text, add pictures and import videos. 5. Students will open and complete their all about me slides. 6. After turning in their work, students may work on a link in the Condit Lab. 3. Review the all about me slides and the requirements. 4. Introduce google maps and how to complete a scavenger hunt. 6. After turning in their work, students will begin to work on the Google Maps scavenger hunt. 3. Review "All about me" slides and how to format fonts and add pictures. 4. Students will access their google classroom account and work toward completing their presentation. 2. Review expectations and procedures for the day and Maker Space. 3. Review the options on the Maker Space Mat. 4. Students will choose an option from the Maker Space Mat to create. 5. If time allows, students may choose another option to make or may play apps on the ipad. 4. Review biographies of famous Wild West figures together. 5. Students will open their Google Classroom to find a "trading card"
6. Students will use the links provided to research a famous figure and create a trading card for the figure. 7. When students are done, they will submit their trading card in Google Classroom and then may complete any of the Condit Lab links. 3. Learn about designing a flag. 4. Discuss/Remember what was learned about colors, symbols and lines. 5. Students will open their Google Classroom and create a Google Drawing. 6. Students will use the knowledge they have learned from PenPal schools to create a flag. 7. When students are done, they will need to create a shareable link to paste in PenPal Schools. 3. Watch the video on what to do. 5. When done, students may work on Sumdog, Interland or Kidpix. 2. Review PenPal Schools and explain the Elements of a Flag lesson. 3. Students will log in to PenPal Schools to complete the Elements of a Flag lesson and answer any of their penpal's questions. 4. When complete, students may work on Sumdog or Interland. 2. Introduce students to PenPal Schools and explain what will happen the next few weeks. 3. 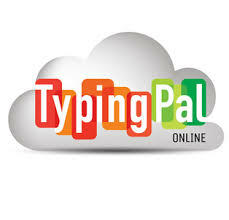 Students will log in to PenPal Schools and join the class using the class code. Students will write an introduction of themselves and post to the site. 2. Remind students of online safety rules and general protocols. 3. Remind students how to access Digital Passport and tell if a game has been mastered. 4. Students will access Digital Passport and ensure that four out of the five games have been mastered. 5. Once students have completed the task, they will work on creating a wanted poster to represent one of the online safety rules. 2. Review how to access the Universal Screener and expectations for during and after testing. 3. Students log in to the Universal Screener and complete the test to the best of their ability. 4. When a student has completed the assessment, the student will read quietly and independently. 5. When all students have completed the assessment, the class can play games of their choice on the Condit Lab. 3. Remind how to log in to Google Classroom and see which assignments are completed or not done. 4. Students will open Google Classroom and complete all unfinished assignments. When students are done, they may work on a link in the Condit Lab pages. 3. Show students how to access the google classroom to complete today's assignment. 5. Using the data given, they will create two types of graphs and three statements describing the graphs. 6. When complete, students may work on a link in the Condit Lab. 3. Look at and discuss winter poems. 4. Students will log in to Google Classrooms to access their Winter Poem magnets. 5. Students will create a winter poem and submit their work. 6. When students are done, they need to ensure that all of their Google Classroom assignments are complete. Then, they may work on Sumdog. ​Students will be taking their Renaissance 360 Assessment in the computer lab this week. 3. Show how to create a word cloud, and how to save it as a pdf. 4. Students will log in to their google classroom and click the link to create a word cloud. 5. After creating the artwork, students will save the work as a pdf file. 6. Students will upload the file to their google classroom and submit the assignment. 7. When done, students may do one of the "When you are done" activities. 3. Watch directions for how to open google classroom, create a word cloud and upload the word cloud to google classroom. 4. Students will log in to the computer, open chrome, log in to google drive and access the google classroom. 5. Students will use the link to create a word cloud, save the cloud as a PDF and upload it to the classroom. 3. Review how to log in to Google Classroom and access links and how to toggle, and exit, websites. 4. Students will log in to Google Classroom and finish their graphic organizer from week 6 and their drawing from week 7. 3. Watch/Review the Beautiful Oops. ​4. Show students how to take a screen shot and upload it to Kidpix as well as how to save a picture from kidpix and upload it to Google classroom. 5. Students will log in to the Google Classroom to take a screen shot of an oops. 6. Then students will open Kidpix and insert the screen shot of the oops as a background. 7. Students will make a design with that background. 8. Students will save the picture to the desktop. 3. Read The Beautiful Oops and discuss famous inventions that were created by mistake. 4. Look at Wonderopolis and read about Play Doh. 5. Create a graphic organizer as a class. 6. Students will login to the Google Classroom to access Wonderopolis and their own graphic organizer. 7. Students will choose from a list of inventions to research. After reading about the invention on Wonderopolis, students will fill in their own graphic organizer. 8. When students are done, they will turn in the assignment and make sure that all of the Google Classroom assignments are complete. 9. When all work is complete, students may play a Condit Lab link. 1. Welcome back, review procedures and expectations. 2. Show students how to log in to Learning.com through the HUB. 4. When students have finished, they may work on any unfinished work in their Google Classroom. If all work is finished, students may work on Interland or Sumdog. 1. Welcome back to the lab/review procedures and expectations. 2. Watch a short video on cyberbullying and discuss the Who, What, When, Where and How of cyberbullying. 3. Students will log in to Digital Passport and complete Evolve.